Your eyes and their focus are very important to shooting, and who doesn’t want to improve if possible? Here are three hand-eye coordination tips we recommend at Bristlecone Shooting, Training, and Retail Center to help you with your aim and with your recreational shooting and training. Practice using your muscle eyes to focus on object. For example, hold up a pencil in front of you at arm’s length and practice using both eyes to see. The goal is to eliminate any double vision until you see one item in front of you. You can practice bringing the object closer and farther away, with the goal of using your eye muscles to focus and work together to see one item, and to strengthen how well they are working together. Practice bouncing and catching a ball. You can do this either with a baseball and mitt or by even bouncing a tennis ball against a wall and catching it. This is a drill that you can do outside of shooting that will benefit when you are recreational shooting and on the shooting range. Try playing games or using shooting simulators. According to a May 15, 2012, article in Men’s Health (“How Video Games Can Help You at Sports”), just 20 minutes of playing a video game can improve your hand-eye coordination. Luckily, Bristlecone has its own Virtual Training Simulator where you can practice interactive training conditions and shooting while to improve your hand-eye coordination for recreational shooting. We offer our customers and members a Ti Outdoors system that includes basic entertainment to competition shooting, league play concealed carry classes, self-defense training, firearms safety, hunter education and hunting experience applications. 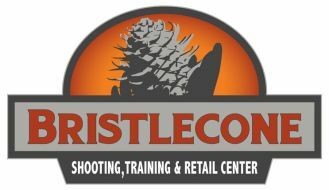 To learn more about shooting classes and training at Bristlecone visit https://bristleconeshooting.com or call 303-985-0989.